A self-proclaimed Satanist who claimed to have killed almost two dozen people could face the death penalty in the killing of a man she and her husband are accused of luring to his death through a Craigslist ad, a Pennsylvania judge ruled Monday. 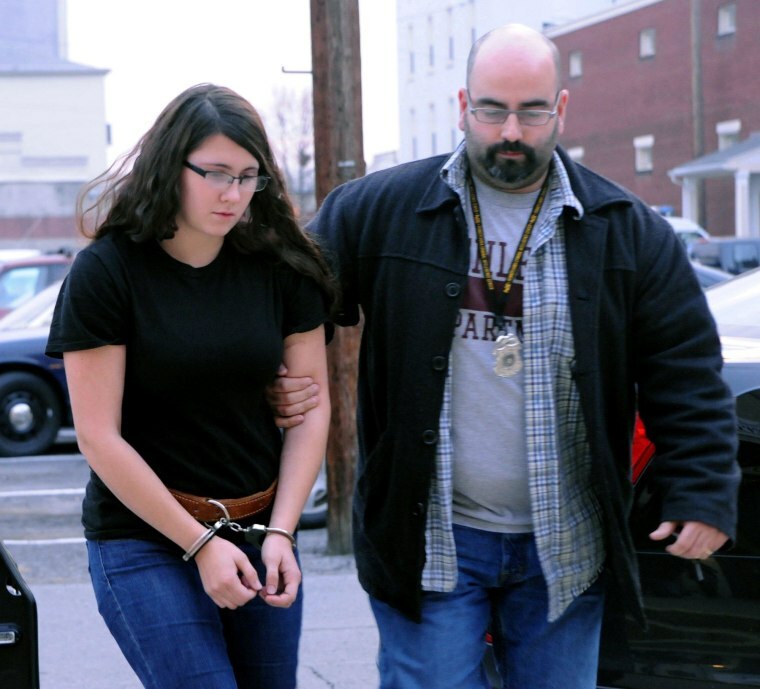 Miranda Kamille Barbour, 19, and her husband, Elytte Randle Barbour, 22, have pleaded not guilty to criminal homicide, aggravated assault, robbery, conspiracy and other charges in the stabbing and strangling of Troy LaFerrara, 42, who was found dead in an alley in Sunbury, Pa., in November. Police quoted Elytte Barbour in a court affidavit as saying the couple, who had been married only three weeks at the time of the killing, "just wanted to murder someone together." In an order released Monday, Northumberland County Common Pleas Judge Charles Saylor denied a motion by lawyers for Miranda Barbour to remove the death penalty as an option if she's convicted in LaFerrara's killing. The ruling doesn't apply to her husband, the Daily Item newspaper of Sunbury reported. Pennsylvania law requires the presence of one or more "aggravating circumstances " before a jury can consider capital punishment. Prosecutors on Monday cited robbery — the Barbours are accused of having taken $150 from LaFerrara — and torture as meeting those conditions. The sensational case has drawn in the FBI, which said it's reviewing Miranda Barbour's claim to have killed more than 22 other people, most of them in Alaska, beginning when she was 16, as part of her role in a satanic cult. Police said in February that they couldn't substantiate Barbour's claim to be a serial killer.